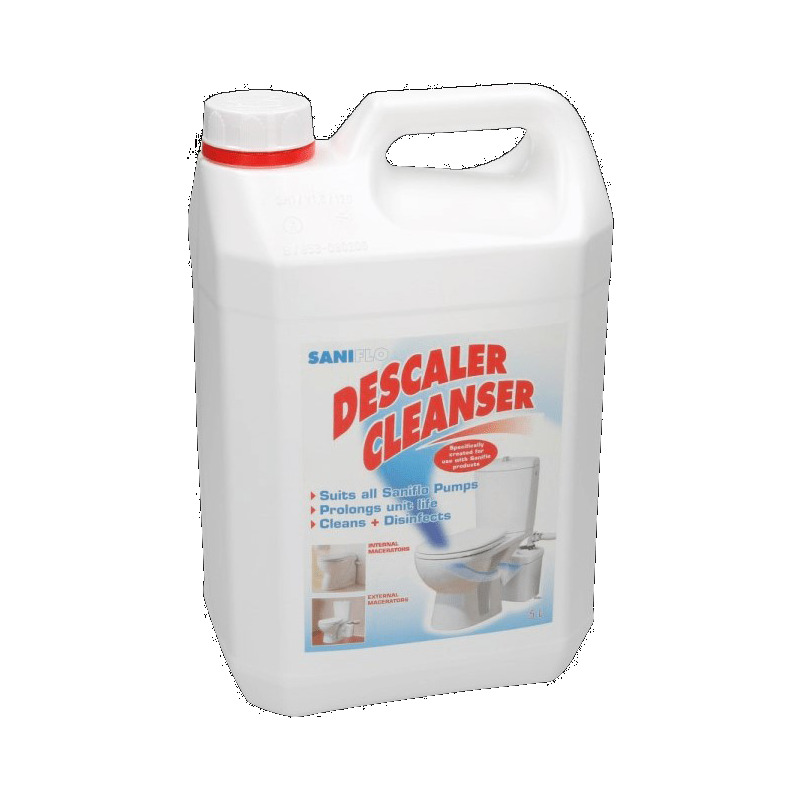 Specifically created for use with Saniflo units, the cleanser is a concentrated solution for optimum cleaning power and trouble-free maintenance. 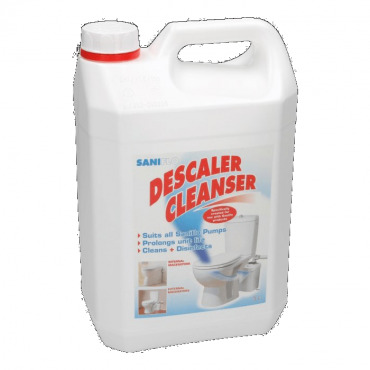 The Saniflo descaler is specifically designed for use with Saniflo units, the cleanser is a concentrated solution for optimum cleaning power and trouble-free maintenance. It comes in a 5 litre bottle for multiple applications and prolongs the life and efficiency of the unit. It won’t damage septic tanks. You may need to use more regularly in hard water areas.